Not all stories are mine to tell ….. I did, and my little family is still here, but since then events seem to be conspiring against me. A leaky porch, absent colleagues, a collapsing curtain rail …. Nothing that can’t be dealt with, but why did it all have to happen right now?! I have started reading again, I have started writing again. E.H Young Day will be happening next week. But regaining my balance – adjusting to the new ‘normal’ – may take a little longer …. … heading across the road to the beach with Briar. Dog ban notices have gone up on the far end of the promenade but not on our stretch, and so we are hoping she – and the other dogs we meet down there – are all legal this year. 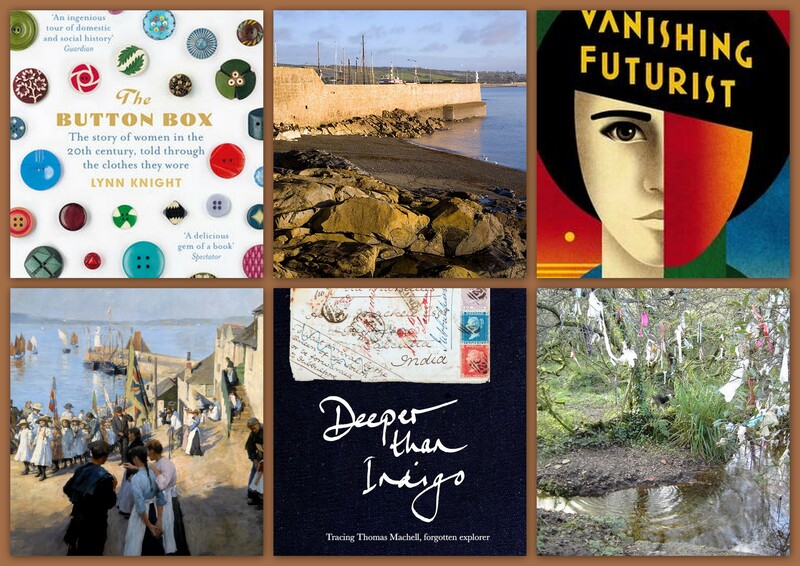 … wonderfully engaged by an exploration of the themes explored in Lynn Knight’s ‘The Button Box.’ Women’s lives, the clothes they wear, social history and, of course, buttons. A talk, a conversation, and more questions thrown into the air than there could ever be time to answer. There was so much to think about it, and I’m eager to get back to the book that I’ve been dipping into for a while. … learning so much about art and creativity in Russia at the end of the 19th and the beginning of the 20th century from Charlotte Hobson, author of ‘The Vanishing Futurist.’ It was clear that she knew and loved her subject, she showed a range of extraordinary images, and I left eager to read and learn more. … taken to Battery Rocks by Briar. I hadn’t taken there for ages, not wanting to push her too much now she’s not as young as she was, but when we went across the road she turned left instead of heading down to the beach and made it clear where she wanted to go. She had no trouble with the rocks, she happily chased her tennis balls across the beach, retrieved them from the sea, and did a good bit of swimming. … having a lovely time at the Stanhope Forbes exhibition at Penlee House. I saw paintings I loved in ‘real life’ for the first time, I learned more about the artist, and I realised there was much more to his work than I had realised. This really needs a post of its own so that I can share paintings and thoughts. … walking in the park with Briar; just to very things up a bit. … listening to romantic novelist Jean Burnett explaining how her reading inspired her to travel, how her subsequent memoir led to her being given the journals of a Cornish lady who had travelled to the Himalayas in the 19th century. That led to her editing the journals for publication; and though I have reservations about her work I am interested to look at the book, and I was glad to be reminded that I have a good number of Virago Travellers to read. … captivated by author and indigo expert Jenny Balfour Paul telling the story of forgotten adventurer Thomas Machell, whose illustrated journals she discovered in the British Library. Her book – ‘Deeper than Indigo’ – brings together his story, her uncovering of that story, and her travels to the places he visited. I had to buy a copy, and I have to say that it looks extraordinary. … taking Briar out of town to visit Madron Well and run in the surrounding fields. There are lots of lovely places to take her around town, but she has always liked a ride in the car and a visit to somewhere she doesn’t get to go to quite so often. … realising it’s time I got back to writing about the books I’ve been reading. It’s wonderful what you can do in when you take a couple of days off work to extend the weekend. Thank you Penzance Literary Festival, thank you Penlee House – and thank you Briar! I’ve been wanting to read ‘War and Peace’ ever since I finished ‘Anna Karenina’ and I think that the time has come. Have you read (or attempted) War and Peace? I looked at this read-along – a chapter a day for the whole year – back in January. The idea was lovely but I realised quite early on that the pacing too slow for me and I drifted away. What edition and translation are you reading? I have two and I’m really not sure which one I’m going to read. On one hand I have the Louise and Aylmer Maude translation in a lovely old Macmillan edition, with maps for endpapers and headings at the top of each page. 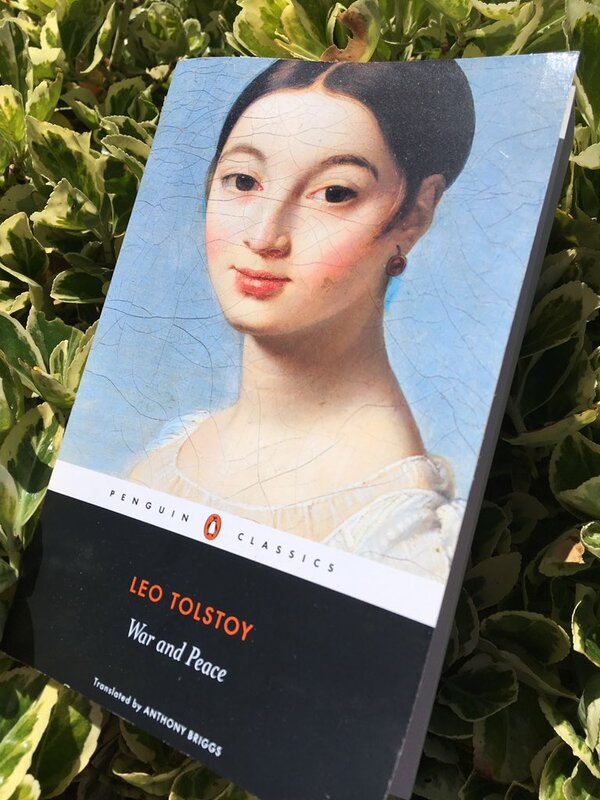 When I auditioned translations of ‘Anna Karenina’ theirs was my favourite by far, I love that they knew Tolstoy, and what I’ve read of their translation of ‘War and Peace’ feels right. On the other hand I have the Anthony Briggs translation in a recent Penguin edition. It’s wonderfully readable, I’d be less worried about wear and tear with a newer, more replaceable edition, I like what he has to say is his translator’s note. But it feels a little less Russian, a little less of the period than the Maudes. I’m going to read a little more of each translation, and then I’ll make a decision and stick to it. How much do you know about War and Peace (plot, characters, etc)? I watched the most recent BBC adaptation. That’s given me an idea of the characters and the story arc, but I know that there is going to be much more to the book. How are you preparing (watching adaptations, background reading, etc.)? I don’t want to over-think this, so I’ve just read the introductory material and the translator’s notes from my two edition. What do you hope to get out of reading War and Peace? I hope to enjoy spending time with the characters in their world. And to be able to say that I’ve read it! What are you intimidated by? Just the sheer scale of the thing. Do you think it’s okay to skip the ‘war’ parts? I have no plans to – the ‘war’ parts are a large and significant part of the book. I’ve come across the Napoleonic War in books before, I’m interested in seeing it from a different perspective. So I have no plans to skip it though I suspect that – as when I read ‘Vanity Fair’ – I might be wishing that Jonathan Strange might appear to help move things along …. Any advice would, as always, be gratefully received! Her decline had been long and slow, but the final chapter of her life was very short. 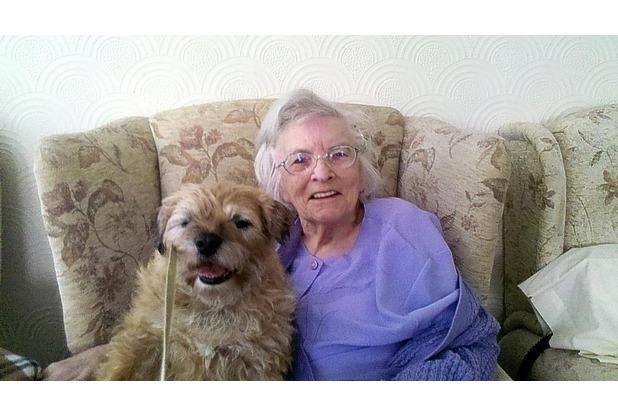 It was just before Easter that she ceased to recognise the people around her – even her daughter and her beloved dog – and so I have to say that it is a blessing that she went quickly and so very peacefully that I wasn’t quite sure that she had gone. I’m working through all of the many things that have to be done, but I am shattered. I was so lucky to have a wonderful mother and father, and a lovely brother, and now they are all gone. I had so many shared memories that are mine alone now. I know that I have to come to terms with this, I know that I am lucky to have The Man of the House and my lovely Briar, but it’s going to take time. I just don’t have any words right now …. Has a Visit to the Library Ever Made You Think of People You’ve Never Met? It was only a quick visit, because we had a late start and lots of other things today, but I went into the art collection to look for a specific book, I had a quick look at the literary classics, and of course I walked around the fiction shelves. On the way out of the art collection the name of Alberto Manguel caught my eye, because Karen had written about his A Reading Diary very recently indeed. The book I saw was Reading Pictures : What We Think About When We Look at Art. I picked it up and it did look interested, but not the book I have the time and attention for right now. The classics shelves don’t change much and but I saw a new book today, and when I saw it I thought Caroline! I remembered that she had written about Dorothy B Hughes not so very long ago. She wrote about In a Lonely Place and the book I found was The Blackbirder, which looks rather different but just as interesting. I went to look for books by Maurice Druon, because I’ve been meaning to read his books for a while and I was reminded when Helen wrote about The Royal Succession – the fourth volume of his ‘Accursed Kings’ series. I’d thought that I had the first book, but when I went to look for it I realised that I hadn’t bought a copy because I’d checked the library catalogue and found that the whole series in stock. I wanted The Iron King – the first book in the series – and there it was on the shelf. It’s still there, because this week’s reading hours were already fully booked. Wolf Winter by Cecilia Ekbäck is one of those book I’ve been thinking about bringing home for a while. It was on the shelf of new and interesting books today. I’d read Lady Fancifull‘s thoughts about her new second novel only last night. So now I have two books on my ‘maybe someday’ list. All of that in one very brief visit – I didn’t even venture into the room where history and biography live – I just picked up the copy of The Jewel by Catherine Czerkawska that I had ordered from the reservations shelf, scanned my books, and set out to do other things. I left my Classics Club list behind when I left my old home and moved to this one. It wasn’t that I didn’t love the whole idea, it wasn’t that I didn’t want to read classics, it was just that I needed to step away for a while, so that I could work out what was important to me and what wasn’t. It wasn’t long before I missed the community – especially when I had to stand on the sidelines for the last spin – and I found that I was reading the books on my list much more than I had when I was in that old home, and I found myself looking back, to tick books off the list and to remind myself. I was so tempted to pick up the threads. 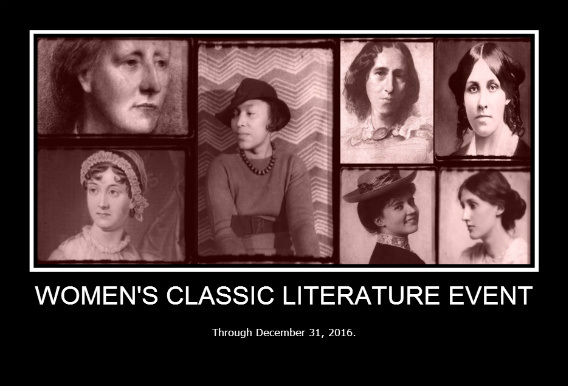 And then along came the Women’s Classic Literature Event. It calls for what I most love to read – what I most want to go on reading – and of course I couldn’t possibly resist it. You can choose any genre you like: Gothics, sensation fiction, sentimental novels, children’s classics, letters, journals, essays, short stories, female writers from the American South, Irish classics by women, African classics by women, Australian classics by women, poetry, plays. You can do all Persephone titles, all Virago, all forgotten nineteenth century letter-writers, all journals, all novels, all essays, all feminist works — or a mix. You could do a deep exploration of a single author’s work, or pick a couple authors whose works you’d like to compare and contrast. You could set up your own dueling authors: read three by one author, and three by the other, and see who comes out on top. Really, you can get as creative as you want with this event. If the title was penned by a female and written or published before 1960, it counts. I knew though that I had to do things a little differently. Working from a set list doesn’t work for me, and so my list has to be fluid. That’s why I’m starting with a list of books that I might read, to give me ideas; but my focus is on building a list of classics that I have read and want to celebrate. I may lose books that don’t work for me; and I may add books that I forgot or books that I discover along the way. I hope that isn’t stretching the rules too much. I’ve been reading classics almost as long as I’ve been reading grown-up books. I started with the Brontes and Jane Austen; then I discovered Edith Wharton; I picked up a Virago Modern Classic in the library and it was the start of a wonderful voyage of discovery; Virago led me to Persephone and to other interesting presses; Honno and Victorian Secrets are particular favourites now; and I’ve leaned to always pick up old books with interesting titles and intriguing author names. I am very aware that there are authors I’ve been wary of and really want to understand better. The names in my mind are Virginia Woolf and Dorothy Richardson. There are also authors I want to revisit; some because it’s a long time since I read them and their books have faded a little in my memory; and some because I think I will see them differently with a little more accumulated age and experience. And the more I read, the more I discover that I want to read. There are intriguing titles by women being reissues, there are fine women writers who are still out of print, and I know that there are others still to be found. I’ve made another list of books for next year. They may not be books that I’m saying should be part of the canon; but I believe that they are books that have stood the test of time and speak well for their times and for women’s history. It’s not a set reading list, but a list to remind me how many interesting possibilities there are. They are all either on my shelves or within easy reach. Walking through the history of women’s writing …. I’m so pleased that I picked up my 100 Years of Books project and began again; and that I brought it with me when I moved to this new home on the internet. 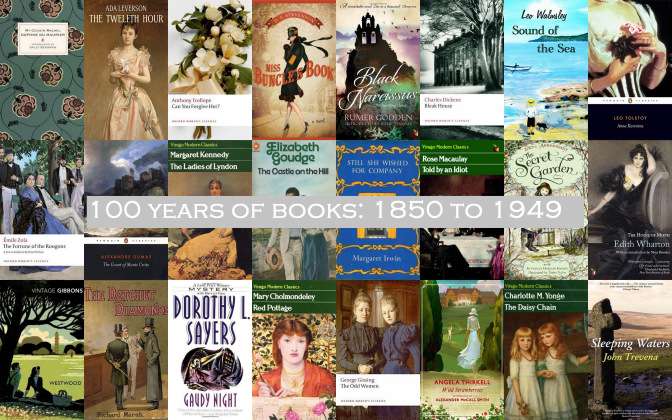 I’ve added read and written about ten more books that filled up ten more years since my last update; and so I need to stop and consider how things are going, and present those ten books. Now that I’m half way through this project, most of the easy years have been filled, but I’m enjoying focusing on particular years that need a book, and digging up books to fit difficult years. The 19th century years are trickier to full than the 20th century years, but I’m discovering that’s no bad thing. It’s leading me to more works in translation, and to more obscure but very interesting authors. And it’s throwing up some lovely juxtapositions – like Anna Karenina sitting next to a young American telegraph operator …. I’m pleased that the majority of my latest ten books are from the 19th century; and that I still have a nice selection of books I can read to fill in some of the gaps around them. I’m beginning to think that I really can do this, and that I won’t have to read any ‘duty books’ along the way. And that the way to enjoy the project is to take my time; to focus on it when I want to and to put it to one side when I want to read other things. Two men set off to welcome Henry Dunbar. One who was sent by the bank and one who was determined to call him to account for the downward spiral that his life had taken. Only one of those two men would meet Henry Dunbar. Only one of the three would return to London; much later than he had been expected, and not quite freed from his entanglement in a criminal investigation that had baffled police. This is a book with the power to transport you to 19th century southern France; because Daudet had the ability to make the world around him come alive in his pages. His descriptions of the environment and his surroundings were beautifully rendered; his observations of the people he met and the people he was told about were clear and astute; and I always felt that he was pleased to be in his windmill, writing his sketches to send back to Paris. I saw echoes of other stories in this one; some older stories and myths and some literature from closer to the authors own era. And though the setting is seventeenth century Japan there is much in her story that is timeless and universal. This is a very human story; a little predictable in places but well thought out and constructed. Whenever I find four sisters in a novel I’m inclined to draw parallels with Louisa May Alcott’s March sisters. In the case of the Lorrimer sisters I saw parallels but I also saw significant points of difference; and I appreciated a nice touch late in the novel that suggested that Amy Levy was acknowledging the influence of the older author. This particular story opens on a foggy night in London. Two men nearly collide. When they speak they both notice that they sound alike, and when they see each other each man thinks that they might be looking in a mirror. They really are doppelgangers. As they talk they find that their circumstances are very different. …. a plan – an outrageous plan – began to take shape in Chilcote’s mind …. 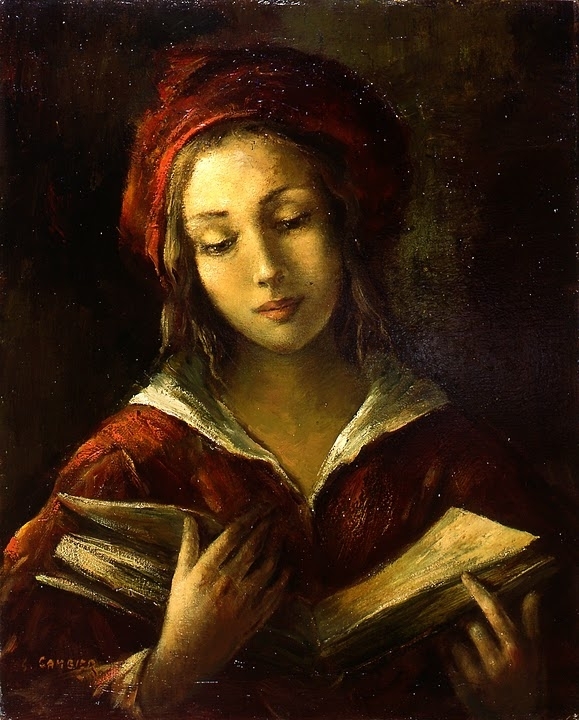 Modesta was an Italian peasant girl who dreamed of being an English lady. Her father was a landlord and so she was able to spend time talking to his guests, offering them charm and flattery, subtly pointing out the differences between their situation and hers; admiring their lovely things, especially the dresses, the likes of which she could only dream about; arranging the flowers and make everything nice for them. She was always so, so busy; but she always managed to take the nice jobs and to leave the not-so-nice jobs for her sisters! She was a minx, but I just had to love her. When I picked this book up I knew nothing of the title or the author; I took it on trust, to add to my collection, because it was a green Virago Modern Classic. In 1940, when her husband joined the army, Rumer Godden and her two young daughters settled in a rented house in Kashmir; set between tea gardens on the Himalayan slopes below Darjeeling. This is the journal that she wrote there. The full list of what I’ve read is here and my first three 10% reports are here, here, here and here. I’m well on my way to my next 10% already. It may take me a while to get there but that doesn’t matter, I’m enjoying the journey.